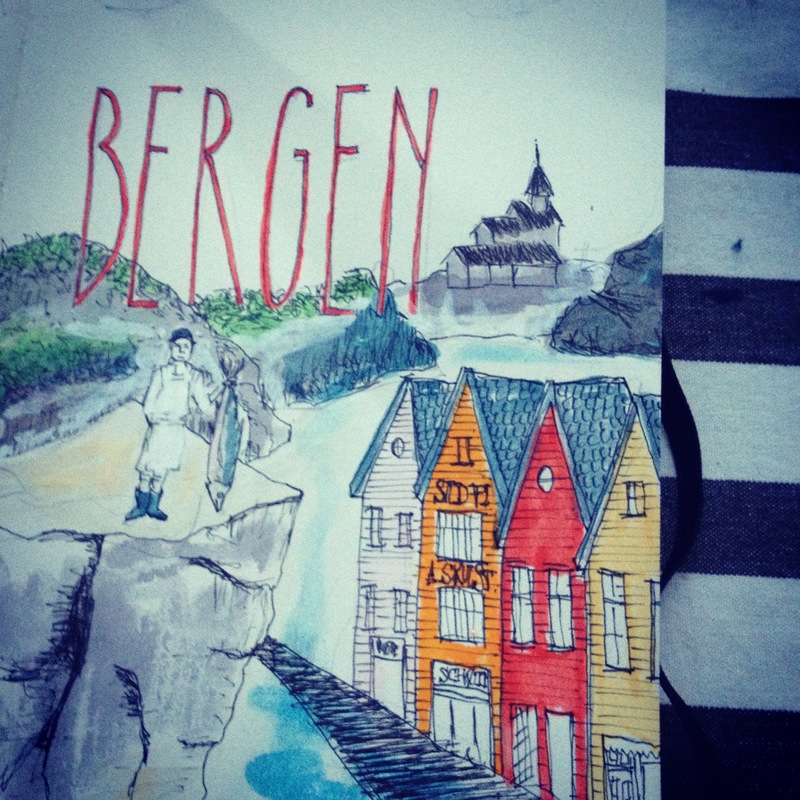 A sketch I did in Bergen, the capital of the fjords. 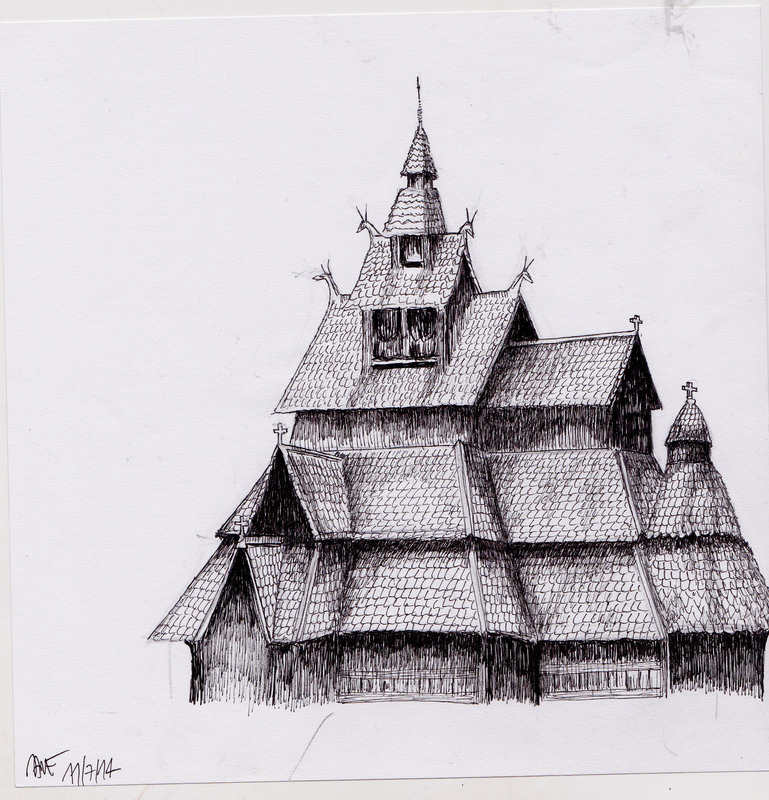 Some studies of a stave church we saw in Norway. It was truly a magnificent trip! 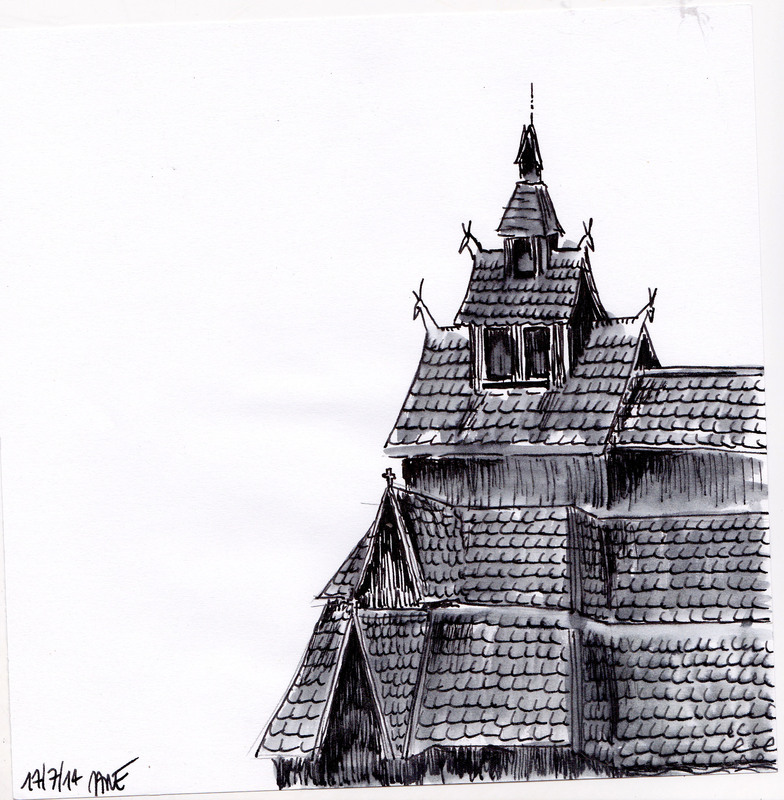 This entry was posted on September 9, 2014 at 9:08 am and is filed under Uncategorized. You can follow any responses to this entry through the RSS 2.0 feed. You can leave a response, or trackback from your own site.